Proton therapy, or proton beam therapy, is a type of radiation therapy used in the treatment of cancer. Unlike photon-based forms of external beam radiotherapy, proton therapy enables an intense dose distribution pattern, depositing radiation in the precise dimensions of a tumor while eliminating the exit dose and damage to adjacent normal tissue. Because of its unique dose-deposition characteristics, proton therapy is indicated for treating tumors near critical organs and brain tissue, and for the treatment of pediatric tumors. Over the last 40 years, the 5-year survival rate for children diagnosed with cancer has skyrocketed from 10% to nearly 90%. Yet, because of the radiosensitive nature of developing tissue, approximately 60% of survivors suffer from late effects, such as growth deficiencies and secondary cancers. Proton therapy has given pediatric oncologists a promising option in the complicated matter of treatment planning for child patients. Children tolerate proton therapy well because it is non-invasive and painless, and it typically results in fewer side effects. Most importantly, proton therapy may reduce the risk of late effects, including secondary malignancies, which is of particular concern for pediatric cancer survivors. 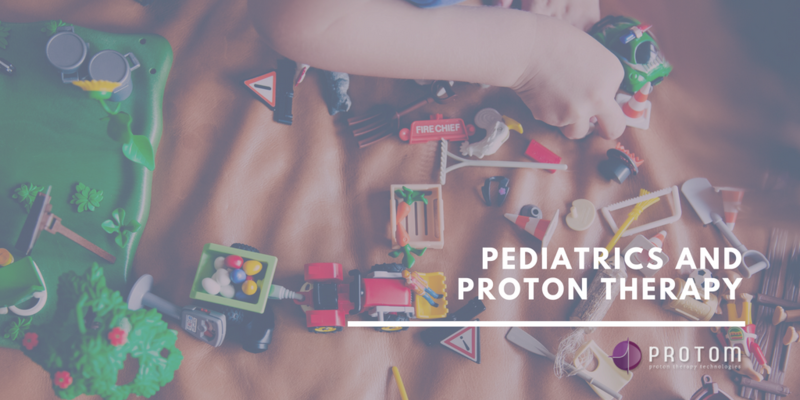 Download our free white paper to learn more about pediatrics and proton therapy.